How to Pass Style Me Girl Level 50, "Biker Chick Chic," & Get 3 Stars With No Cash Items! | I Style Me Girl! 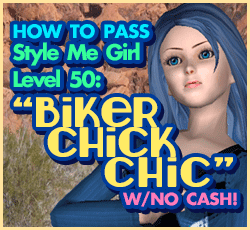 How to Pass Style Me Girl Level 50, "Biker Chick Chic," & Get 3 Stars With No Cash Items! 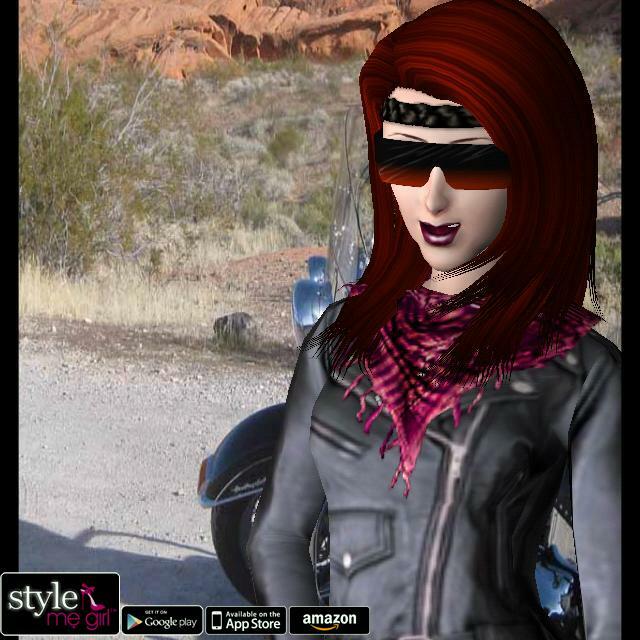 Style Me Girl Level 50 is themed "Biker Chick Chic," because even bikers need love too! So, I dressed Annie with love and I got three stars! As usual, no cash items iare used in this three star Biker style! Keep reading for the details on how to get three stars on Style Me Girl Level 50, "Biker Chick Chic," without using any cash items. The items I used to pass Style Me Girl Level 50, "Biker Chick Chic," and get three stars are described and shown in the list below. The "Closet Items," screen capture can be clicked to view a larger more detailed image. CLOTHES: black sleeveless vest with diamond vest opening, open black leather jacket with red collar and double white stripe on arms, leather trousers with silver buckled belt details. MAKEUP: Black eye makeup ( comes with game ) other peach lippie, blush that also comes with game and mascara.